 At Greengrass, we offer an extensive range of landscaping and maintenance services to businesses, organisations and commercial premises throughout North Essex and Suffolk. Our friendly uniformed team of professionals will ensure you receive an exemplary service with complete attention to detail from start to finish, as well as significant emphasis on site cleanliness and organisation. When you’re concentrating on growing your business and providing the best possible service, it’s difficult to find the time to commit to keeping your premises in top condition – creating that perfect first impression. That’s where we come in. We understand that commercial environments need to be kept clean and highly presentable. From office grounds and industrial estates to supermarkets, our soft landscaping and maintenance services keep your premises to a very high standard. That’s why our commercial contracts continue to grow! Do the grounds of your business or premises require some attention? At Greengrass, we understand the importance of image and how this can improve your business prospects. Our commercial soft landscaping services can redesign your grounds to make it more inviting, according to your requirements and budget. Large or small business, we go the extra mile to guarantee your business a space to be proud of. We just love transforming the grounds of business premises, ensuring a first-class, year-round presentation of your business to its customers. We understand that first impressions are key, which is why we’re dedicated to ensuring your commercial grounds are kept to the highest possible standard with minimal disturbance. We achieve this by providing a comprehensive tailor-made maintenance service – either weekly, fortnightly, monthly, bi-monthly or quarterly, based on your needs and budget. We provide comprehensive grounds clearance services to commercial clients, tackling overgrown premises and restoring them to considerably more attractive condition. We’re fully equipped to clear any type of corporate waste and hold a Waste Carrier Licence, so you can be sure that we will deal with your commercial waste responsibly at an accredited recycling plant. Businesses throughout North Essex and Suffolk entrust us to take good care of their lawn and grounds, protecting it from moss and persistent weeds, whilst providing advice and guidance to our clients on all aspects of lawn care. We offer annual treatment programmes for commercial premises of all shapes and sizes, using only the best products to achieve long-lasting greening to your lawn, as well as more specialist treatments such as scarification and aeration whenever necessary.